Minimalist design for a contemporary wall clock. This clock is made of wood by our artists Artwall and Co. The diameter of this wall clock is 43 cm. Worldwide shipping for this clock. 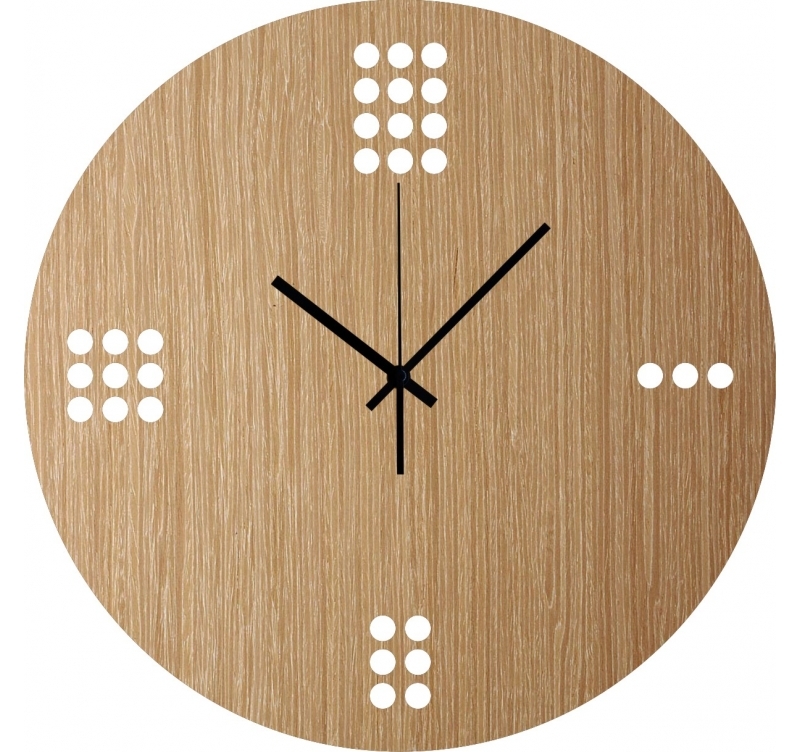 A wooden wall clock with a simple and minimalist dressing, that's what decorate your walls in the most beautiful ways. The different white dots represent the hours that we are used to seeing represented by numbers. 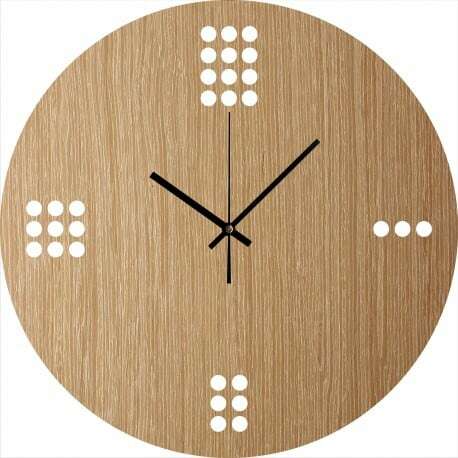 The whole design of this wall clock lies in its sleek appearance, combined with wood that makes it an ultra trendy object. The black hands perfectly finish the whole of this clock to see the passing time. This deco clock only works with an AA type battery (not included). Each wooden clock is unique because of their construction from natural wood panel. The vein of the material is therefore made individually on each of the products in our wall clock collection.